No. 1 (1979) - No. 4 (1979). Quarterly. 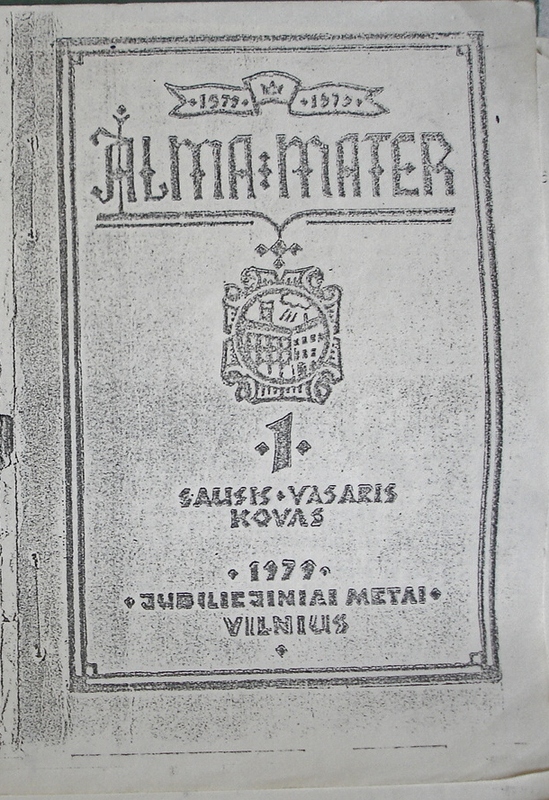 Issued in 28 copies. Individual issues ca. 100 pp. GENRE: journal.Title in Cyrillic (KHTS No. 53). Start year, end year, 4 issues (VASI). Issued in 28 copies (Сommunication with Birute Burauskaite, April 7-11, 2008). Quarterly (ALM2 2). Participants Povilas Peceliunas and Danute Kersute (Сommunication with Birute Burauskaite, April 7-11, 2008). 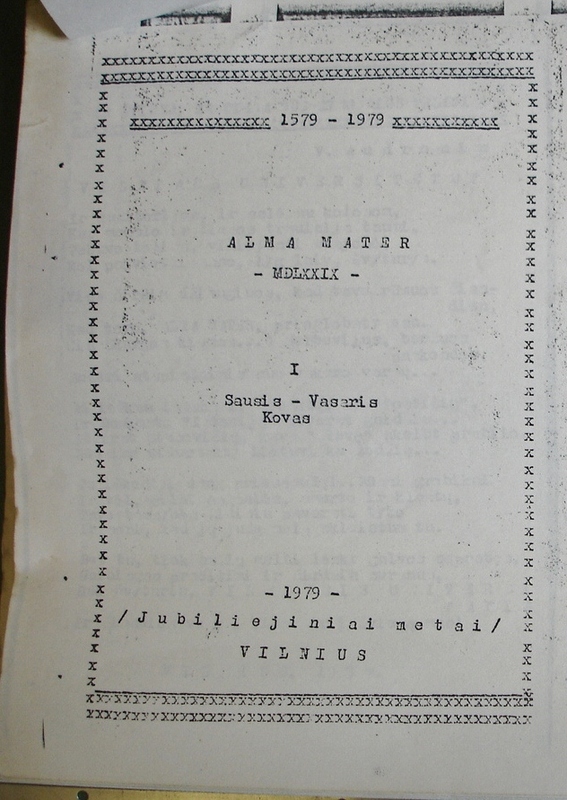 1579-1979 on the title page of No.1, No. 2, No. 3. Month span July - September.